(SALT LAKE CITY)—Today, BMJ Global Health, a new publication launched by the British Medical Journal, published a roadmap to expanding access to surgical care around the world, a major health issue for an estimated 5 billion people worldwide. 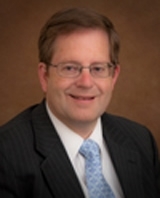 The authors of the roadmap include University of Utah professor of surgery of Utah professor of surgery Raymond R. Price, M.D., who has performed and taught surgery in Mongolia, Nigeria, Haiti and other parts of the world. According to a landmark 2015 report by the Lancet Commission on Global Surgery, nearly one-third of the global disease burden can be attributed to surgically treatable conditions such as hernias and open fractures. Yet, billions of people cannot access surgery to address these problems because of a lack of infrastructure, insufficient numbers of trained surgeons and anesthesiologists or the prohibitive costs of receiving care. 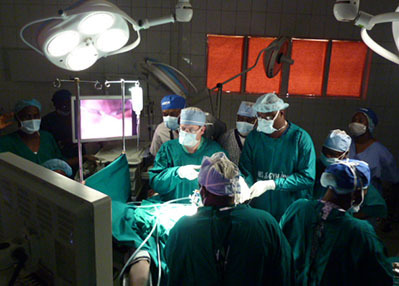 An additional 143 million surgical procedures each year are needed to save lives and prevent disability. Price, also director of the University of Utah School of Medicine Center for Global Surgery, says the World Health Organization (WHO) estimates 2 million lives could be saved every year if surgery were more accessible globally. But the initiative to expand access isn’t just about performing surgery in faraway places. 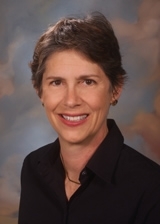 Price and fellow University of Utah surgeon, Catherine deVries, M.D., served as advisors to the Lancet Commission. A urologist and professor of surgery, deVries established the University of Utah Center for Global Surgery as well as an annual Extreme Affordability Global Health Conference held at the University, a gathering dedicated to expanding global surgical access that attracts physicians, business and government leaders and others from around the world. She also has performed and taught surgery in many areas of the world. Building on the 2015 Lancet Commission report on global surgery, the paper released today outlines a series of actions that universities, hospitals, surgeons, biotech companies and the media in wealthy countries can pursue to help bring access to those who need it most in low- and middle-income countries (LMICs). Written by an international group of surgeons, anesthesiologists, business and biotechnology leaders, journalists and advocates, the paper prioritizes the role of health professionals and policymakers who live and work in LMICs. The authors state that unilateral action by high-income country groups without an ethos of partnership is unlikely to bring about sustainable change. Instead, high-income country resources can be brought into the service of local interests, building sustainable health systems and providing a durable solution for the world’s poor. "The goal is universal access to safe, affordable, surgical and anesthesia care when needed," said John G. Meara, M.D., DMD, MBA, director of the Program in Global Surgery & Social Change at Harvard Medical School, plastic surgeon-in-chief at Boston Children's Hospital and co-chair of the Lancet Commission on Global Surgery. "This reports demonstrates a common policy agenda between major actors and provides a roadmap for maximizing benefit to surgical patients worldwide."